The rocoto pepper (a.k.a. 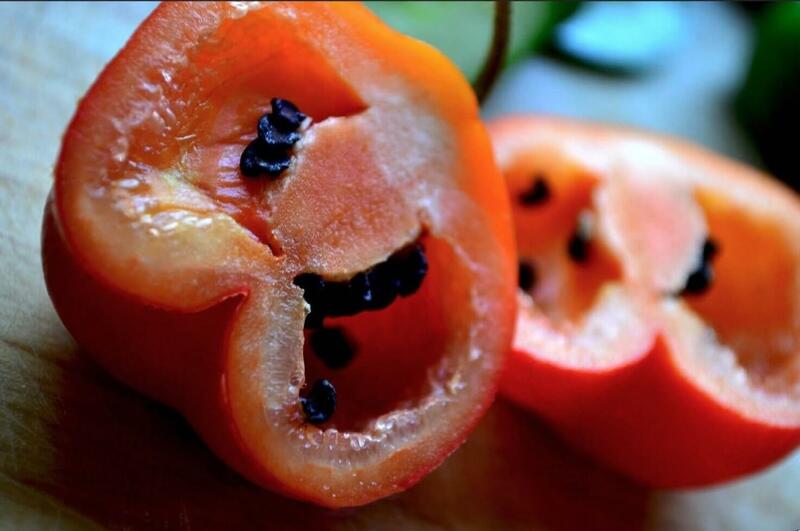 locoto pepper) may resemble a bell pepper in shape, but underneath the hood it’s one chili that’s full of surprises. There’s a juiciness and a meatiness to this chili – more akin to a tomato than a pepper – that’s set ablaze with surprising heat. The rocoto can top out at habanero level spiciness, and that often catches eaters by surprise. It’s a unique culinary experience that’s a critical ingredient to both Peruvian and Bolivian cuisines. How hot are rocoto peppers? 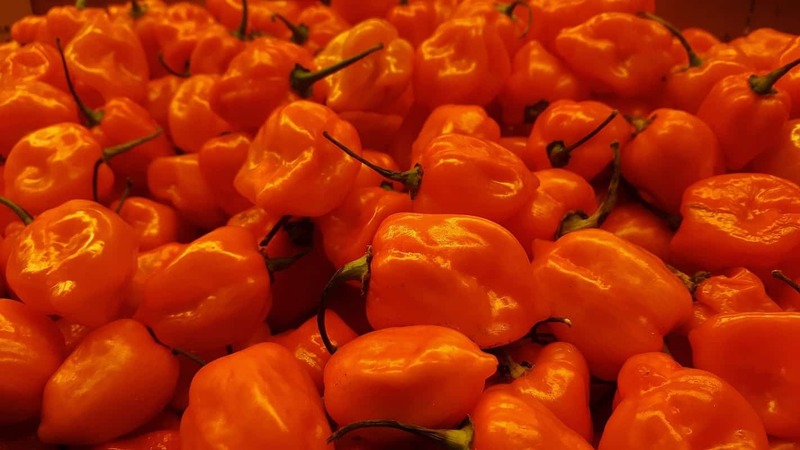 There’s significant medium heat here – so hot, in fact, that it borders on the extra hot category where the likes of habaneros and Scotch bonnets live. At 30,000 to 100,000 Scoville heat units (SHU) the rocoto can be anywhere from four to forty times hotter than our jalapeño reference point. It’s much hotter than its close cousin, the manzano chili (12,000 to 30,000 SHU), so while these two peppers share a similar look, note you could be in for a spicy surprise. Aren’t manzano peppers and rocoto peppers the same thing? There is some confusion surrounding these two chilies. They both come from the same cultivated variety (cultivar) Capsicum Pubescens and are therefore closely related. The Pubescens cultivar has many unique characteristics – like dark seeds, meaty and juicy walls, and beautifully flowering plants with hairy leaves – which these two chilies share. But the rocoto is cultivated much further south than the manzano, in the reaches of the Andes mountains, and it can take on shapes beyond the apple-like manzano, some even looking pear-like. Then there’s that heat difference where the rocoto can surprise with up to ten times the heat of the manzano. What do rocoto peppers look like? They typically look like a small tomato, in hues of red, orange, and yellow. Even when cut open, the rocoto looks quite like a tomato – with thick walls and an abundant juiciness. But there’s one notable exception. Rocotos have dark brown to black seeds throughout which is typical of any chili in Capsicum Pubescens. It’s a unique chili experience, both to see and to eat. And then there’s the rocoto plant itself which is stunning in its own right. The plant grows tall – giving the rocoto another common name, the tree pepper – with beautiful purple flowers and silky hairy leaves. It can easily double as an ornamental pepper plant with its looks, especially for Northern climates since the rocoto can handle cooler temperatures better than many other chilies. What do rocotos taste like? The meaty walls of the chili provide a lot of bell pepper “pepperiness”: grassy and fresh. But underneath of it all, there’s a crisp fruitiness here that’s enhanced by the juiciness of the chili itself. In terms of eating experience, as mentioned, think more tomato and less jalapeño. That juiciness that makes the rocoto more tomato-like does impact its overall versatility in the kitchen. Rocotos are delicious as a paste, and in salsas, hot sauces, stews, and other dishes where their juiciness is beneficial. But, despite their thick walls, the rocoto is not a good stuffing pepper, nor is it at all a chili you should try drying. There’s just too much juiciness here. There are many Peruvian and Bolivian dishes where the rocoto is a must, so expect to see them in the ingredient list often for these international cuisines. 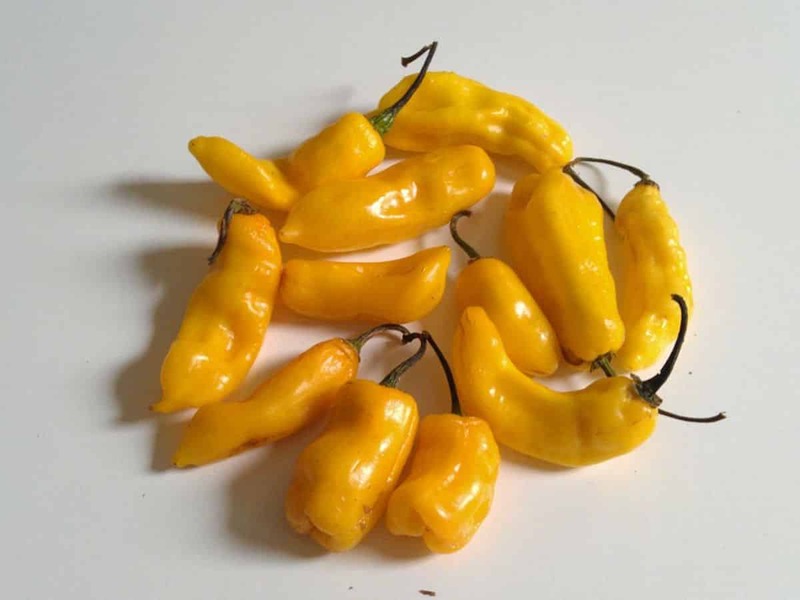 Where can you buy rocoto peppers? Don’t expect to see fresh rocotos at your local grocery chain, but you may luck out at specialty stores and farmer’s markets. It’s not as popular as other chilies outside of its main growing regions (South America), so this will be a search in other regions. But you can pick up both rocoto seeds and rocoto paste via online vendors. The paste works very well in sauces and stews, so it’s an excellent alternative for when the fresh chili isn’t at hand. Still, when you find the rocoto pepper near you, take the opportunity to pick up some fresh. It’s a totally different eating experience than the rest of the pepper scale. 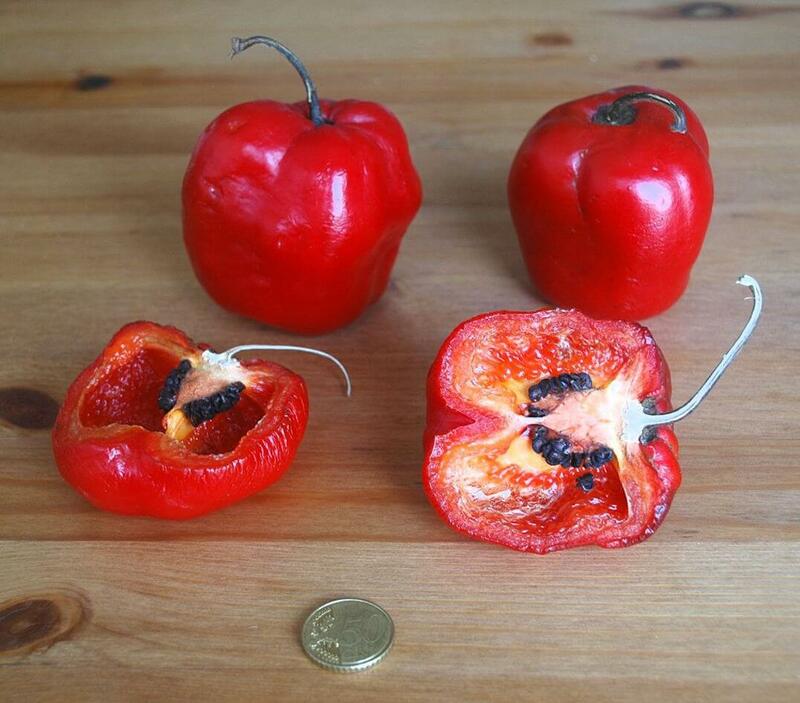 Rocoto Pepper AKA Red Manzano (25 Seeds) Can Live for Over 15 Years- From Peru !